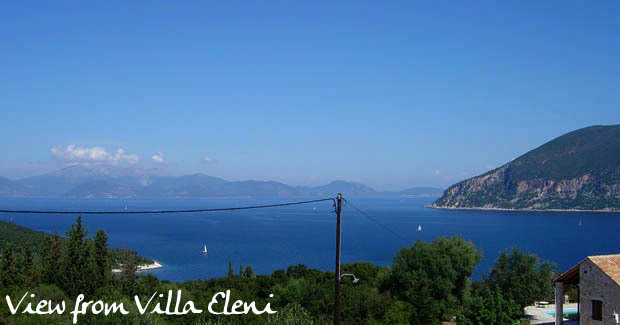 Evreti is a small traditional village just south of Fiskardo and one of the oldest in the Erissos Peninsula of Kefalonia. Positioned just up the hill from the shoreline of Doliha Bay it has a rich and colourful history, having been one of the most affluent villages of the area with an industry of not only fishing but also farming. The village was home to many fishermen who used the bay to moor their fishing boats. The other benefit of the location of Evreti was its vicinity to the local fields and thus also developed into a thriving farming community. 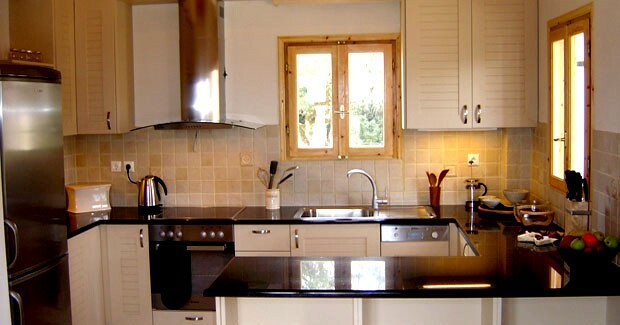 Eleni is a three bedroom villa which has been sympathetically designed to blend in with the surrounding scenery and taking full advantage of the beautiful views across the Ionian Sea to Ithaka. Standing on the terrace at Villa Eleni you certainly get a feeling that the villa has been there since the time of farming, fishing and pirates. The ground floor has a spacious open plan living area and dining room with a well equipped kitchen all tastefully designed to be light and airy even on the hottest summer days. From this space one can drift easily outdoors onto the shaded verandah which in turn leads down onto the pool terrace. 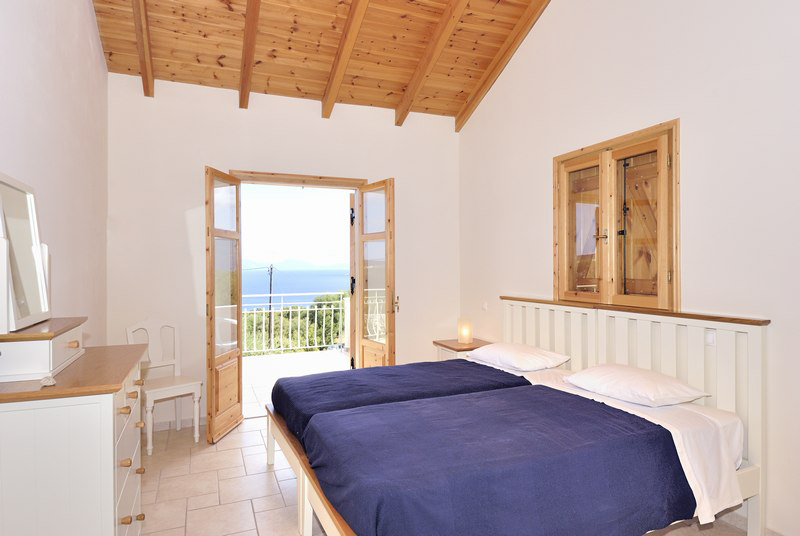 The double bedroom with a private terrace is also on this floor, together with a shower room. On the first floor are two twin bedrooms one with en suite bathroom and one with an en suite shower room. 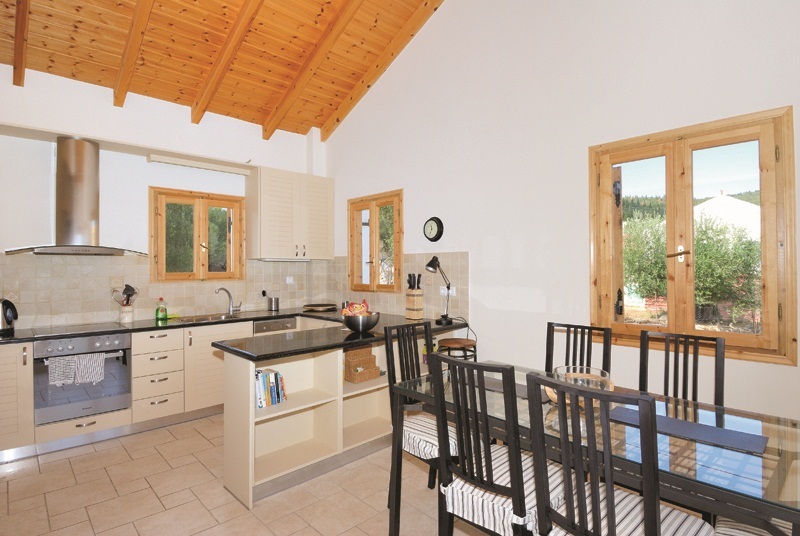 Both bedrooms open out onto a large shared terrace perfect for enjoying the fabulous views over the Ithaka channel. 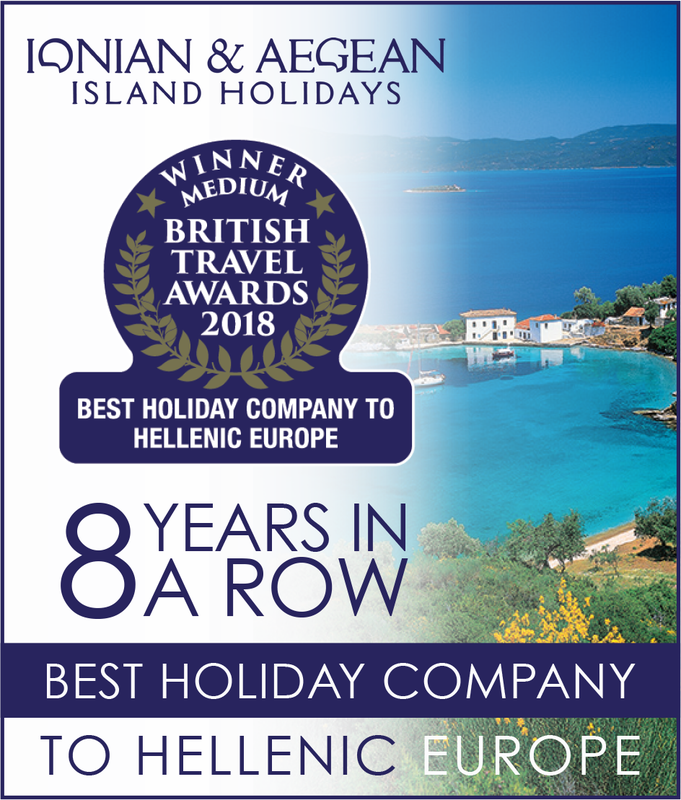 The local beach and taverna at Foki Bay (a seven minute drive) are on the way down to the beautiful Venetian waterfront village of Fiskardo within a twelve minute drive.